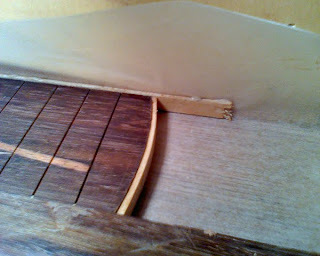 Simple process of gluing the binding around the Fret-board. I bet I spent over two hours just sanding and leveling each side, and rounding off the bottom prior to this step. 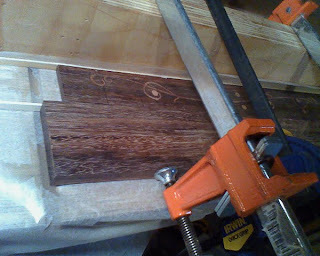 I read somewhere that woodworking is 10% planning, 5% cutting and 85% sanding... I'm starting to agree. 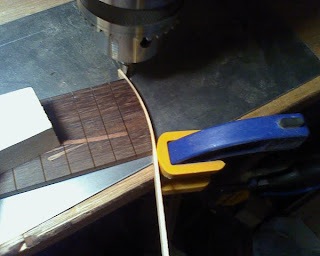 Gluing the binding on the sides. Pretty small and simple process – why did it take so long?